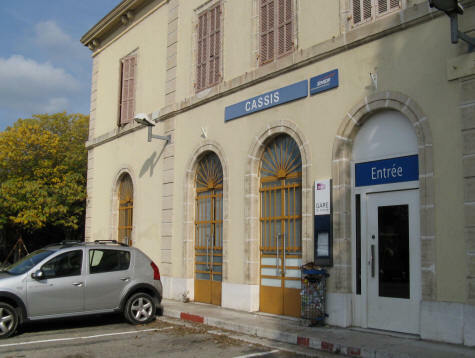 The Cassis Train Station in Cassis France is a tiny station located 3 or 4 kilometers from the Port of Cassis. Visitors arriving by train can either take a taxi into town or enjoy a long but pleasant walk along a tree-line pathway that runs through orchards and vineyards. Trains depart for Cassis France from Marseille every 30 minutes or so.